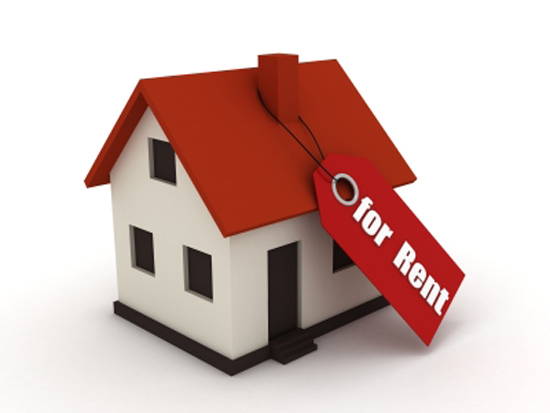 PLEASE READ THE FOLLOWING REGARDING RENTING A HOME, IT SHOULD ANSWER MOST OF YOUR QUESTIONS. THE KEY IS IN BEING PREPARED & MOVING QUICKLY ONCE YOU FIND THE RENTAL HOME YOU WANT! Please note: Credit scores below 550, evictions, unpaid broken leases, felony criminal backgrounds & having breeds of dogs on the aggressive breed list are very difficult objections to overcome with most landlords. We would recommend you trying to rent an apartment or locating a For Rent by Owner. With credit scores of 550-599, a landlord may require a double deposit, it just depends on other factors such as rental history & income. When searching for homes to lease, beware of rental scams and verify the ID of the owner at www.hcad.org. Never send money by mail in exchange for a key! Appointments to view homes should be made no more than 2-3 weeks before your move and all decision-making parties must be present, the rental market moves quickly and you may lose a home with any slight delay. The average turnover rate for a rental is around 30 days, so most landlords will not rent to you if you can't move in within 30 days. The closer you are to your preferred move-in date, the better. I am paid by the landlord/landlord’s broker but will fully represent your interests with a Tenant Representation Agreement. Anything you tell me is confidential and my services are completely free to you. It’s simple - If we can’t get you into a home, we do not get paid for our time – period. We will do our very best to help you get approved, we have lots of experience doing just that! Please be honest on your application, we are on your side. We will review your application and advise you accordingly, no matter what issues you may have. In order to expedite the fastest processing of your application, please provide the following. You will also need to have given notice to your current landlord. Normally, this is a 30-day notice but check your current lease agreement, it may be longer. Your fully completed application(s) with phone numbers for employment verification & rental history. Each person 18 years & over that will be occupying the home must fill out a separate application and be listed on the lease. Please leave the rental address and rental details blank, but fill in the anticipated move-in date. Some brokers may require you to fill out an online application. If so, you will have all the information in front of you after filling out this form. We need to know the credit scores of all residents 18 years & up. You can go to www.creditkarma.com or www.creditsesame.com for your credit score(s) and save or print a copy to e-mail or give to me. Both sites are totally free and you don’t need a credit card to sign up. If you already know your recent credit score (within 30 days), please provide a written copy with the date. Your score will actually be verified later by the tenant screening. Poor credit (550 & below) may require an additional deposit, possible as much as double. Lower scores may be subject to immediate rejection, it just depends on the particular landlord you're dealing with. Color copy of driver’s license & social security card of each applicant. Copies of paychecks for each applicant for the last 2-3 months for verification of income OR the last 1-2 year’s tax returns if you are self-employed or work on commission. Most landlords look for a minimum net income of 3 x the monthly rental amount or a minimum gross income of 4 x times the monthly rental amount. This will give you your price range, which should fall between 25% and 33% of your monthly income for your maximum rental amount. Recent bank statement(s). Landlords don’t normally request this but if you are a 1099 Employee, get paid in cash or have have irregular paychecks, then bank statements can help to verify income. A short letter of introduction and only if needed, a brief explanation of no more than 2-3 paragraphs that stick to the facts about any red flags that might come up on a credit report, such as a foreclosure, bankruptcy, repossession, unpaid medical bills, minor legal infractions, etc. This is not mandatory, but highly recommended and may help to get an approval. Please note that any cosigner(s) will be required to fill out an application and pay an application fee even if they will not be occupying the property. Application/tenant screening fee for each person over 18 years old. This includes a credit check & criminal background check. The fee is normally $40-$50 per person, but can vary. Occasionally, there’s one fee for a married couple. If the listing agent permits me to run your tenant screening in-house and it’s cheaper for you to do so, we can do this fast and we may be able to use it for other homes if you are rejected for the one you’re applying for. Your application may be pre-screened by the listing agent at no cost until they decide to move forward with you, at which time the application fee is due. Once you’re approved, one full month’s security deposit is immediately due (possibly two month’s rent for poor credit). One month’s deposit can’t be broken up into payments but it may be possible if a double deposit is required. The lease will be prepared for signatures after your deposit has been paid. Pet deposit (if required). Normally, this ranges from $200-$400 per pet depending on size and type of pet, but it may vary. The amount may be a non-refundable pet fee, a deposit or a combination of both. The 1st full month’s rent is due upon the move-in date, but you may pay it early if you wish. Any pro-rated rent from the first month will be due the 1st of the following month. You will be notified of whom to pay the security deposit and rent upon approval. This will normally be two separate parties and each must be paid by certified check or money order only. After the initial security deposit and 1st month’s rent, you can usually pay by personal check. The MLS may not reflect that the home has been rented, but if you’ve signed a lease and paid your deposit, it won’t be rented to anyone else. Also, the rental sign is not normally removed from the property until your move-in date. The listing agent is in control of these two items. After move-in, complete the Inventory & Condition Form. This needs to be returned to the owner within the required amount of days listed on the lease. Please complete and return to me. I will keep a copy for your records and forward it to the listing broker. Don’t forget this last step, it’s for your protection!